University of Illinois Livingston Master Gardeners will host a highly requested program on May 14 at 6:30 p.m.
and registration is required. 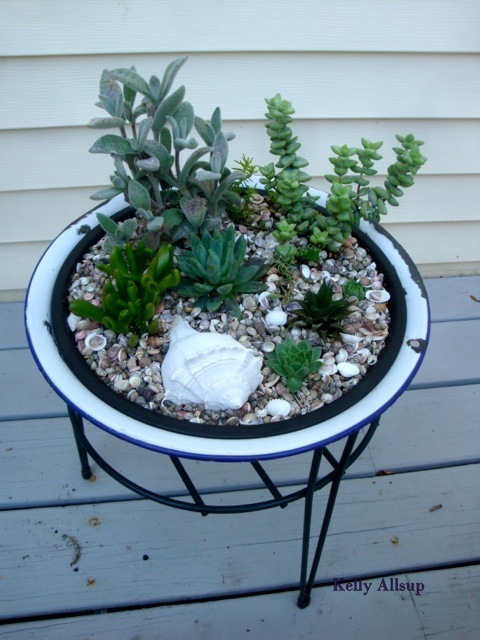 Each attendee will receive a miniature succulent garden to explore. Please register at http://web.extension.illinois.edu/lmw/register/ or call at (815) 842-1776. Succulents have become a favorite plant among gardeners because of the ease to which they can be grown and the array of textures and colors. Livingston Master Gardeners have held the succulent photo frame workshop and succulent art show and now follow it up with a make-and-take miniature succulent workshop. Master Gardeners, Sandy Knight and Dee Woodburn will delve into the concepts of successful succulent gardening by giving design ideas, care instructions and exploring their favorite succulent plants. The hands-on workshop will be held at the Livingston County Extension Office at 1412 S. Locust in Pontiac. Avid Gardeners, novice gardeners and Master Gardeners will benefit from this workshop dedicated to lovely succulents. Look for the upcoming June 18, 6:30 p.m. workshop, "Growing your own Mushrooms". This is the second part of the summer growing series. Horticulture Educator, Kelly Allsup and Master Gardener, Cindy Kinate will demonstrate how to grow your very own white and blue oyster mushrooms in the backyard or in your home. Each attendee will get a mycelium cake to take home and in a few short weeks will have fresh, tasty mushrooms for cooking and eating raw for only $20. Please register at http://web.extension.illinois.edu/lmw/register/ or call (815) 842-1776.
at (309) 663-8306 or kallsup@illinois.edu. If you need a reasonable accommodation to participate in this program, please contact us.